Los Angeles-based artist Robert Therrien conjures up a world of the unexpected filled with images which are both familiar and strange. He creates works with a deceptively childish charm and logic that suggests the realm of fairytales where ideas can be translated into reality. 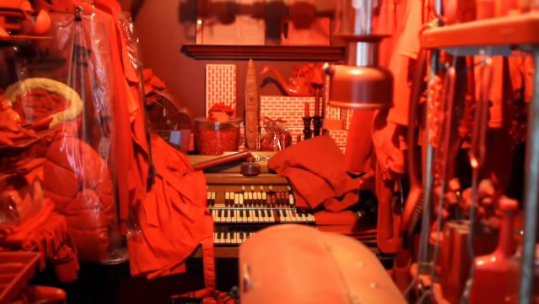 Anthony d'Offay explores The Red Room -- a work which he says 'in a funny way, made itself' -- and the wonder provoked by Therrien's oversized Table and Four Chairs.